Well, the UGI urge cannot be resisted. The Soma now sports discs all around instead of the Mullet. Interestingly, the rear caliper was very tough to install. No matter how I positioned the caliper the rotor kept hitting something. I finally realized that the caliper mounting bolts were long enough that the end of the bolt was actually striking the rotor spokes when the wheel was turned. I pulled the bolt washers off the old Avid SD Ti brake and put the washer between the bolt head and frame's caliper mount. Problem solved. 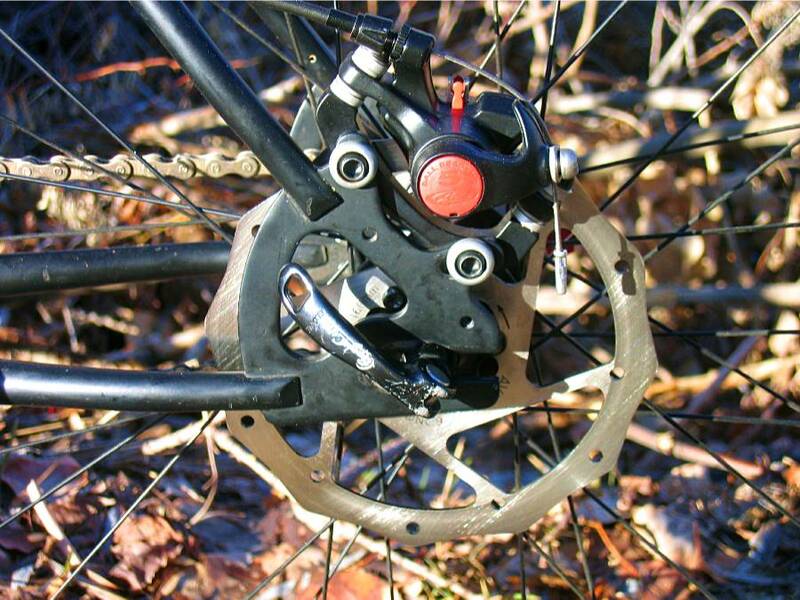 The Soma must have thin caliper mounts. There's barely enough clearance for the caliper adjustment bolts and washers to clear the rotor. Nevertheless, it's as smooth as glass now and rides quite nicely. 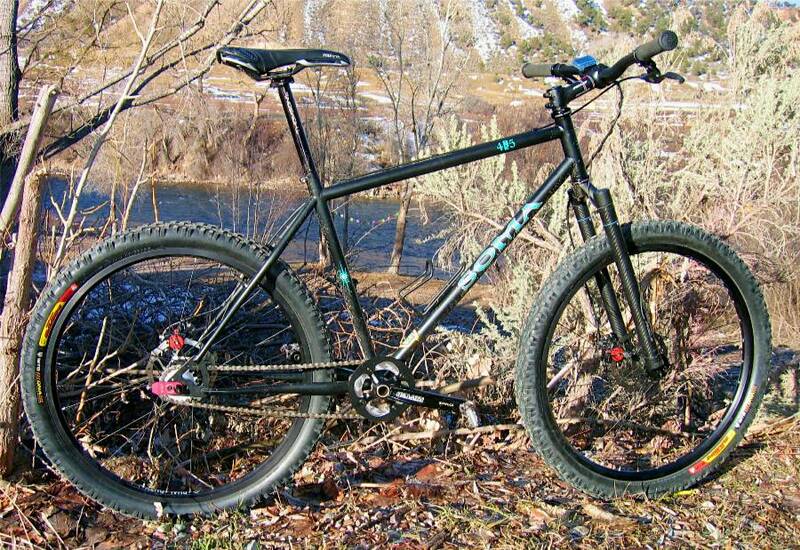 She comes in at 26lbs with the heavy duty WTB Dual Duty rims and big Motoraptor 2.4s. There's enough clearance in back for an even bigger tire if you wanted. If I ran my lightweight LaserDisc Lites and Conti Vertical Pros, I could drop her down to 24lbs, but the extra rubber cushion is pretty nice. 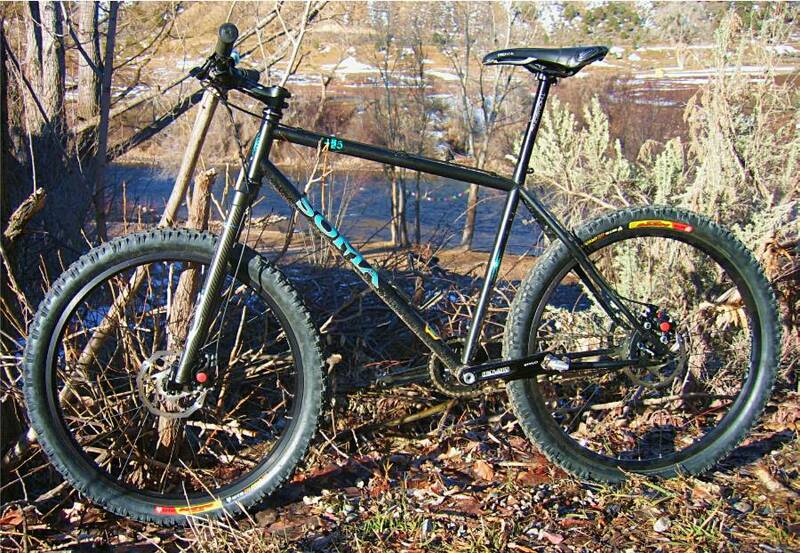 These are pretty sweet frames, and with the Colorado winter finally in remission - riding season starts again! Yehaw! How is this thing treating you? I just became aware of the 4one5 this week and am definitely thinking of trying one on for size. Is your's still in commission? Your's looks great in the pics...cheers! Nice bump. The Soma looks great.